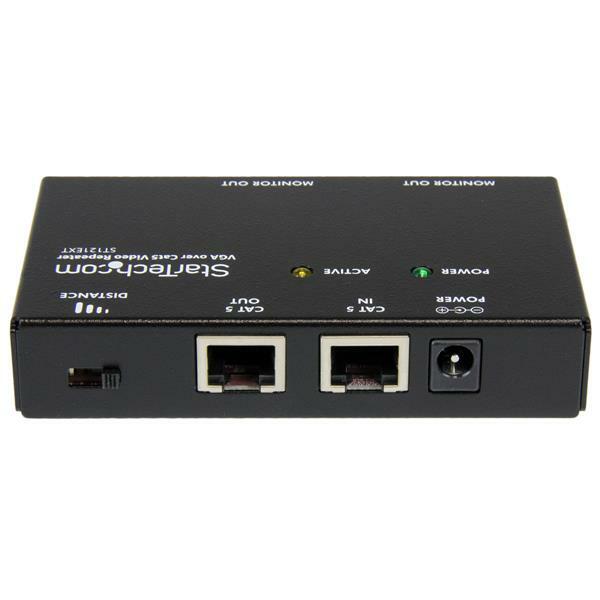 The ST121EXT VGA over Cat 5 UTP Video Extender Repeater allows you to further extend your VGA signal over Cat5 or better cabling. This device is specially designed for use with the StarTech.com ST121 VGA Video over Cat 5 extender series, which is comprised of a transmitter unit (ST1214T, ST1218T or ST121UTP) and an ST121R receiver unit. 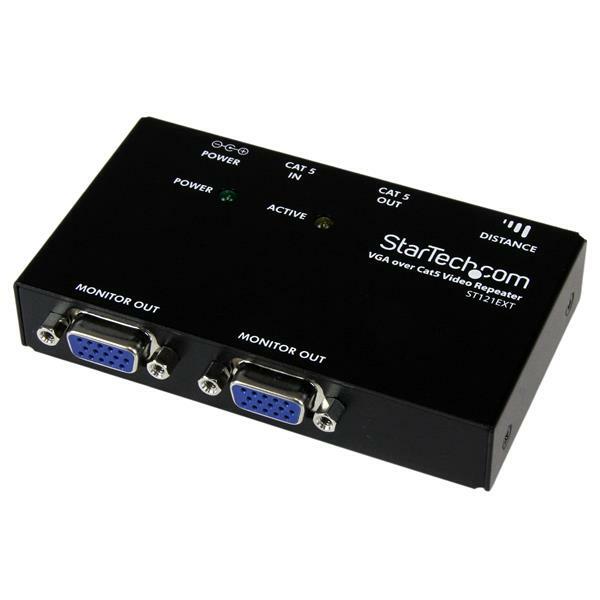 The ST121EXT VGA extender repeater adds to the overall extension distance capability, for a total of 300 meters (1000 feet) between the transmitter and receiver unit and also features a VGA output allowing you to connect an additional display at the mid-point of your setup. 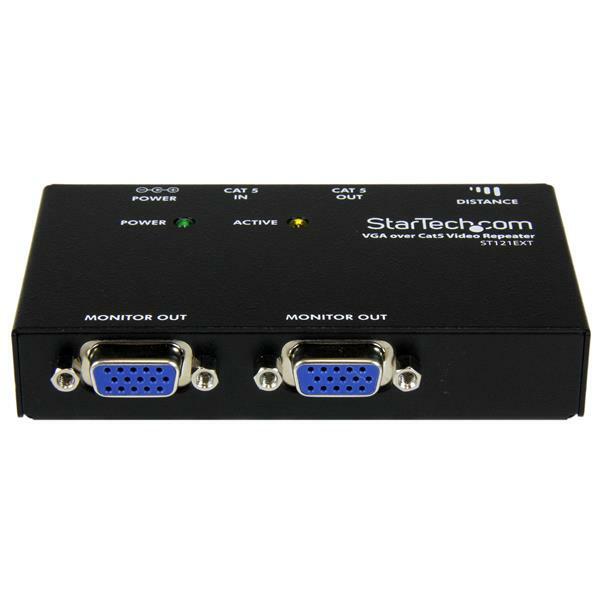 For even more versatility, up to three ST121EXT repeater units can be used between the transmitter and receiver units, allowing monitors to be connected at each repeater station while further extending the overall connection distance by 305 meters (1000 feet) per repeater used.